It is a fact that meeting certain people can immediately change you for the better. In small ways or large, if you barely notice, or if it hits you like a truck, this happens throughout life. A person may have done extraordinary things, thus prompting you to be a bit more exemplary yourself. Someone may be so intelligent that they guide you to think in pathways you never would have found on your own. An individual may just simply be so funny, engaging, or empathetic that they change that particular day, or even just a tiny fragment of your life and make it bearable, or even delectable. Well, on account of that first encounter and our subsequent 70-plus emails back-and-forth, Morelli has affected me in many such ways, for all of the reasons mentioned above. I will now attempt to illustrate what Morelli’s stellar personality at the helm of Lighthouse’s beautiful mission accomplishes for the public, and what we, the people of Scranton, can do to help in return. During a lengthy interview, Morelli made me feel more like a close friend stopping by for a visit than a complete stranger invading her space and time with questions and flashbulbs. This must be an especially hard task for a member of the blind community: to readily open the door every day to those whom you do not yet know and cannot see, and to have the faith to set vulnerability aside. Morelli began the nonprofit (in fact, largely entirely non-funded) Lighthouse Christian Recovery Outreach program by personally going into low-income housing projects to offer support, guidance, and assistance to mothers. The organization then evolved into a day center with support groups for depression, eating disorders, and a host of other ailments, where she lent her ear and heart as a professionally-trained counselor. 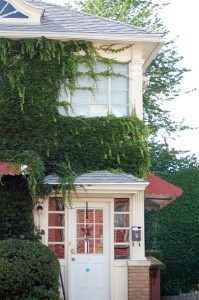 In 2004, the brave Morelli, simply through “dependence on divine providence, day by day,” as she explains, was able to purchase the current Lighthouse building to use as a home and refuge for individuals in crisis, including refugees, ex-convicts, and those with substance abuse or emotional challenges. Besides counseling and guidance/companionship, Morelli offers a variety of other healing tools. The newsletter reads, “I also have received several certificates in natural healing modalities, so that I can offer comfort, and gentle healing options to people who are in pain. Several people come here with back problems, sinus problems, anxiety, stress, and a host of other problems, which they seek relief from. I am able to help them find healing through the use of flower essences, prayer, essential oils, and other healing techniques, which bring balance and integration to the whole person, body, mind, and spirit.” She is also a trained “death doula,” and offers consolation and ease of transition to the dying and their families, whether it be by playing harp or another instrument, prayer, counseling, or by simply fluffing pillows and offering to listen. “Lighthouse is not about developing a business for business’ sake. It’s about using my talents and abilities to help people,” Morelli strives to make clear. “You inspire me deeply as you somehow manage to keep your wit, humor, and sense of balance intact, whilst helping those in deepest need. Please tell me what we in Scranton can do to help you for once,” I beg, expecting a meek refusal. So Scranton, the simple needs of this beautiful woman and organization, which I think we can easily collectively provide, are these: a few more counseling or healing appointments a week—at only $20 per session (or a sliding fee for those with low incomes); donations, however small, as Lighthouse itself receives no steady monthly grants or income from any source; and desperately required volunteers/companions to help her simply read mail, take walks, get to church, or sit and talk. Ingrid Martinique is a published poet, author, and journalist, and served as a head editor of the newspaper The Voice in Bloomsburg for several years before returning to Scranton. My daughter Rose, called her father from Pratt Institute where she was in college to find her an investment property in 1983 and he did, at 131 Cabrini. He supported her by finding contractors to improve this building and by helping her rent and collect rent for her the following 4 years. Because of this she was able to buy a property in Brooklyn, NY after I sold this house to Christine Hummel in the late 80's, when I picked her up on the edge of the road in Mt. Cobb with her suitcase. 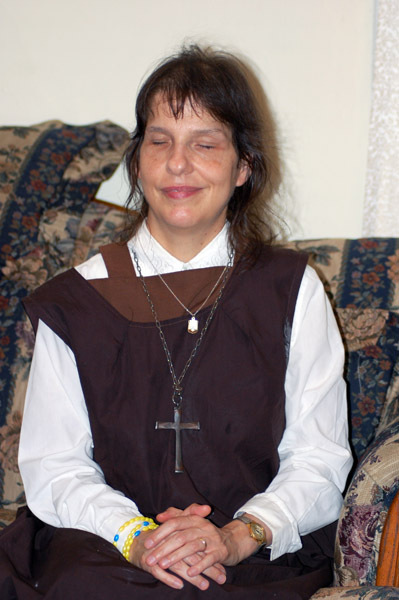 She was staying at a convent until she could find a house to buy.. She loved the Cabrini house and slept on the floor for 3 nights until the sale was finalized. She then moved from Tennessee and moved in. When she died she gifted her new home to the Diocese of Scranton. Rose Petrunich bought this dwelling with a 10,000.00 CD her grandmother Rose Monteforte gifted to her. She held on to it for 8 years. I assisted Lindy as a volunteer in 2013 with such pleasure to be in her company, and would like to forward this article to our daughter Rose Kampert, I finally found out how to leave a comment. I am challenged every day with my interest in storytelling and figured out what I had to do. Sincerely, Carol Petrunich.